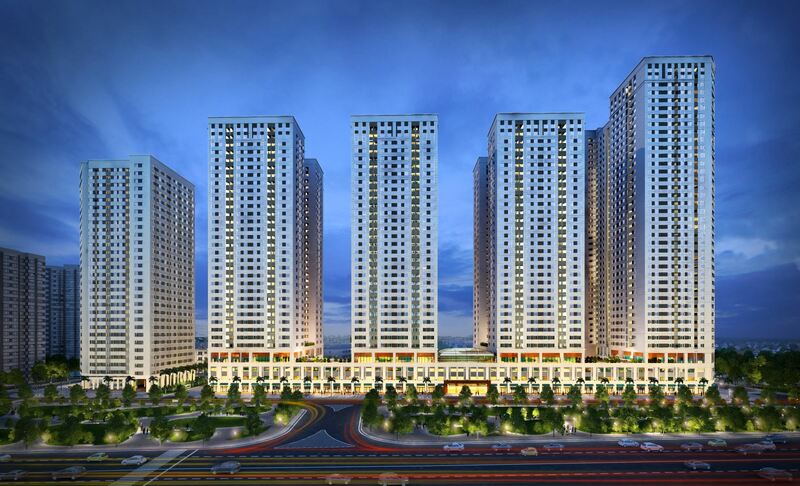 Project scale: 5 towers from 33-37 floors; 65 lots adjacent villas; 138 shop houses and 107 office-tel apartments. 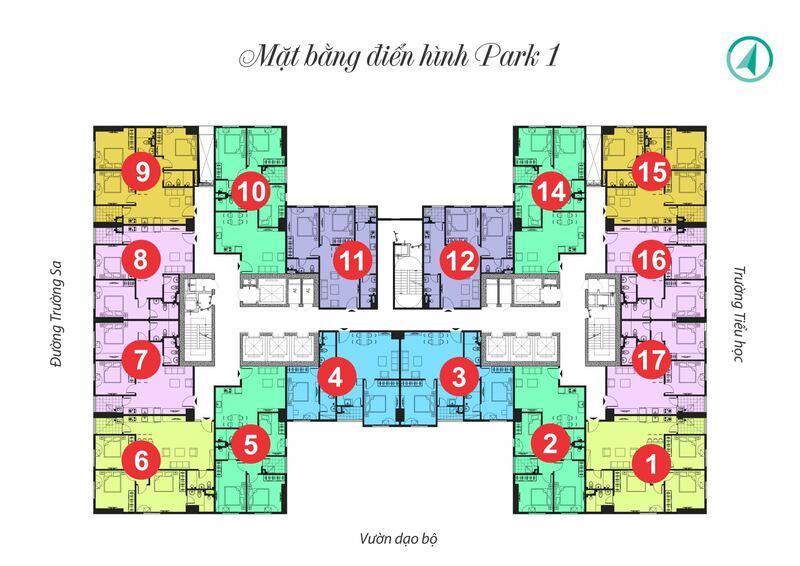 Number of apartment: More than 2000 high-class apartments. 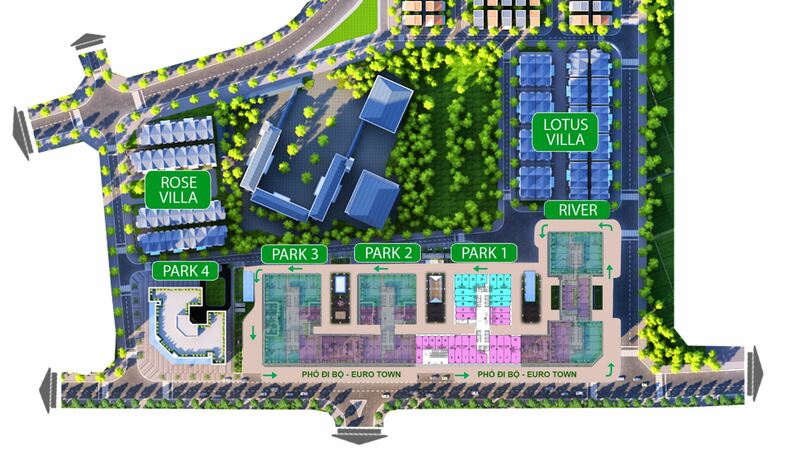 Eurowindow River Park is a complex of 4 apartment buildings, 1 social building, more than 60 adjacent villas and nearly 140 lots of shop-houses invested and developed by Eurowindow Group. 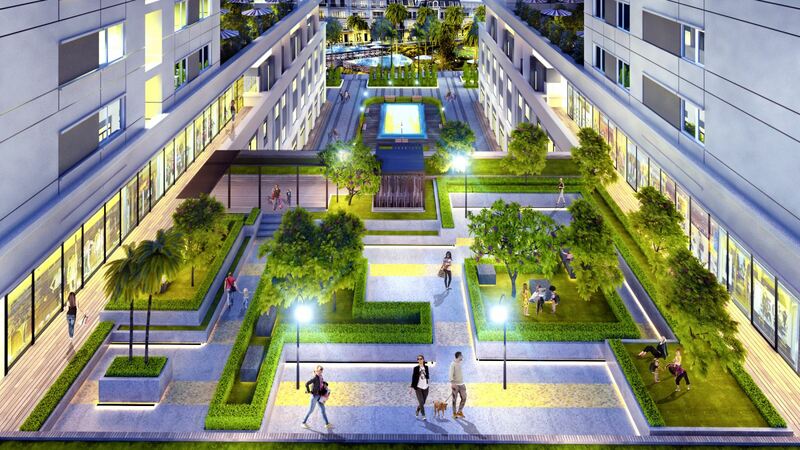 Apartments in Eurowindow River Park are distributed appropriately in 5ha urban area with adjacent villas, shops, shop-house in conjunction with optimized infrastructure. 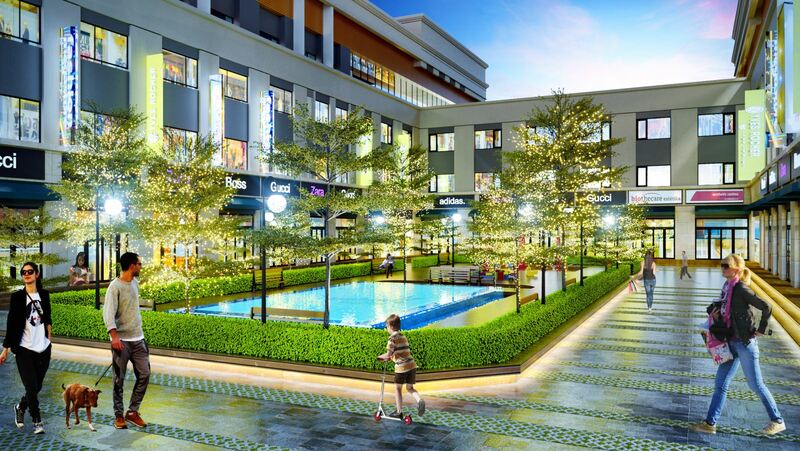 Especially in urban areas designed with a lot of walkways along apartment buildings will be the ideal place for your family to enjoy a modern and comfortable life with an open view toward the dreaming Red River. 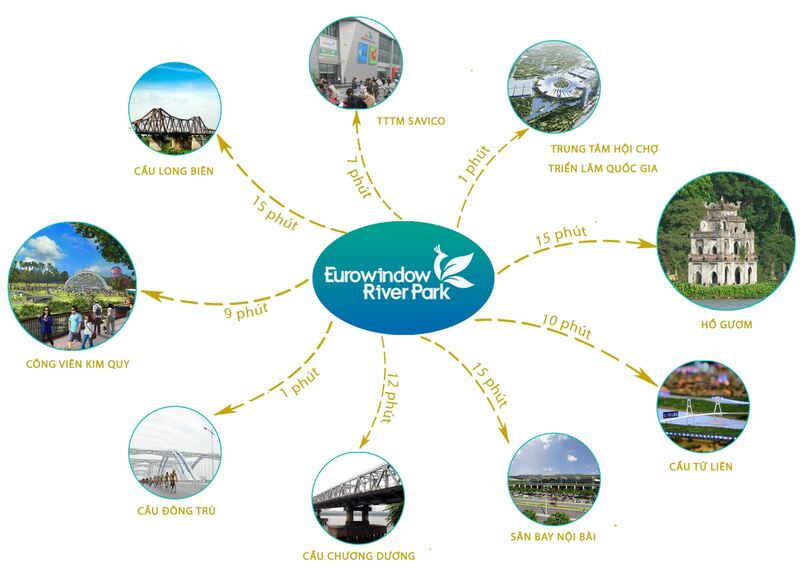 Eurowindow is located in Truong Sa street near Dong Tru bridge, the fork of Red River and Duong River. Within 15 minutes, you can see yourself standing in the center of Hanoi Old Quarter; whilst if living in the South or West center of Hanoi, you need at least 30 or 45 minutes, or even hours in rush time because of traffic jams. 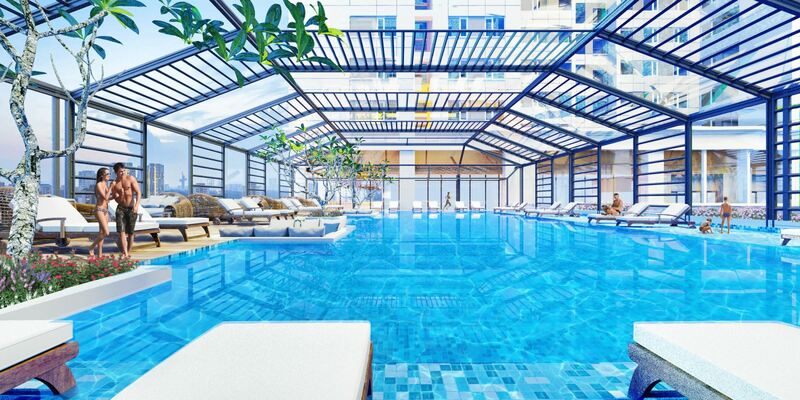 With the desire to bring back splendid and environmental friendly living space, Eurowindow Holding gives an essential attention to classy utility services with four season swimming pool, commercial center, fitness and spa center and green trees filled with calm river landscape ensure the need for fresh living environment. Utilities systems at Eurowindow River Park in Dong Anh was selected and constructed with the most modern and luxurious equipment in the world, imported from advanced countries to meet 5-star standards to serve the best needs of residents. 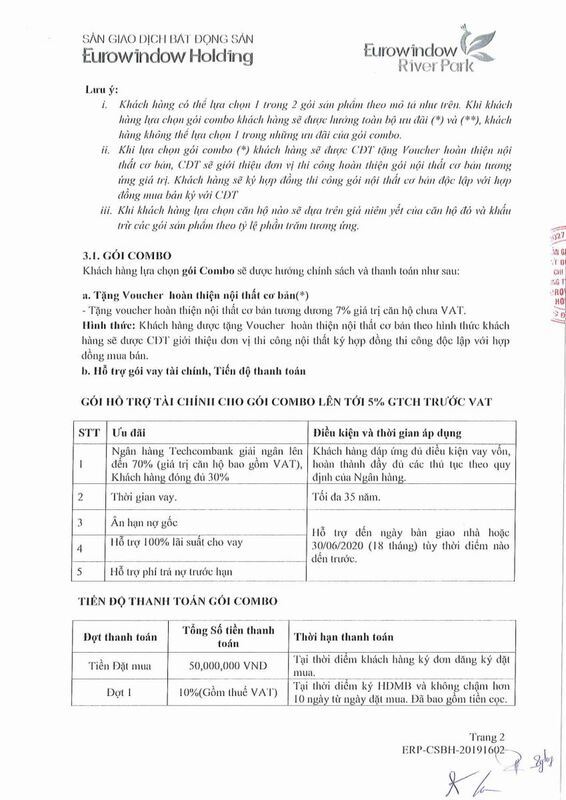 Currently, Dong Anh area has 2 notable apartment projects: Eurowindow River Park Dong Anh apartment and Intracom Riverside Vinh Ngoc condominium. 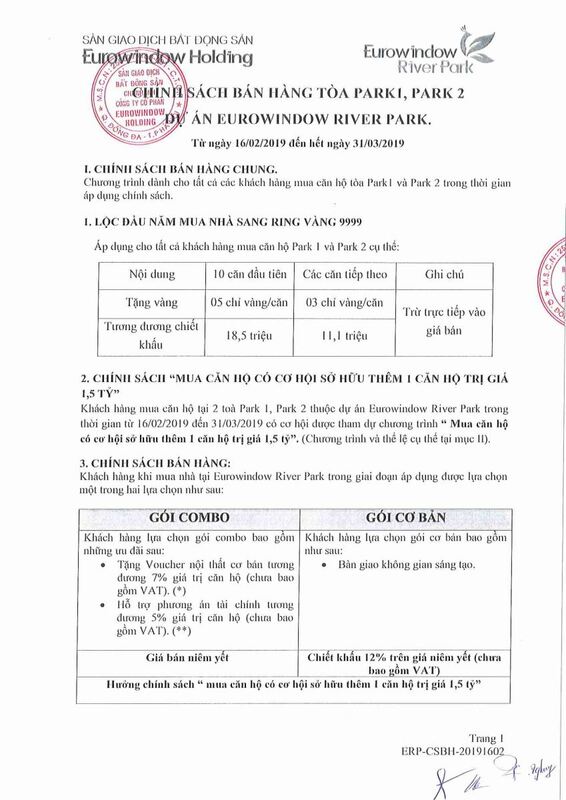 Eurowindow River Park Dong Anh apartment was built in Dong Hoi commune (at the pier of Dong Tru Bridge), Dong Anh district, Hanoi city, invested by Eurowindow, this project started to deploy the first items. The proposed project consists of four 39-storey commercial apartment buildings. 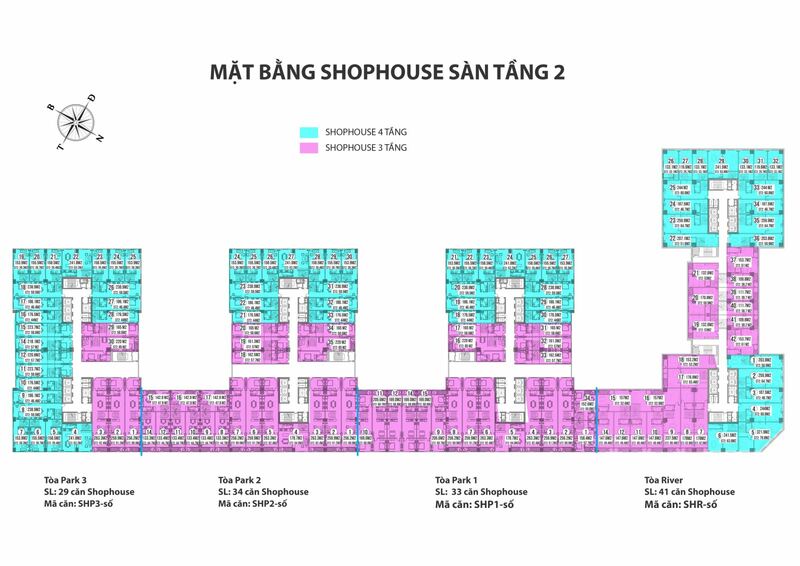 The apartment buildings have 3 basements from 1st floor to 4th floor are commercial, office and shop-house. From the 5th floor to the 39th floor is a commercial apartment. 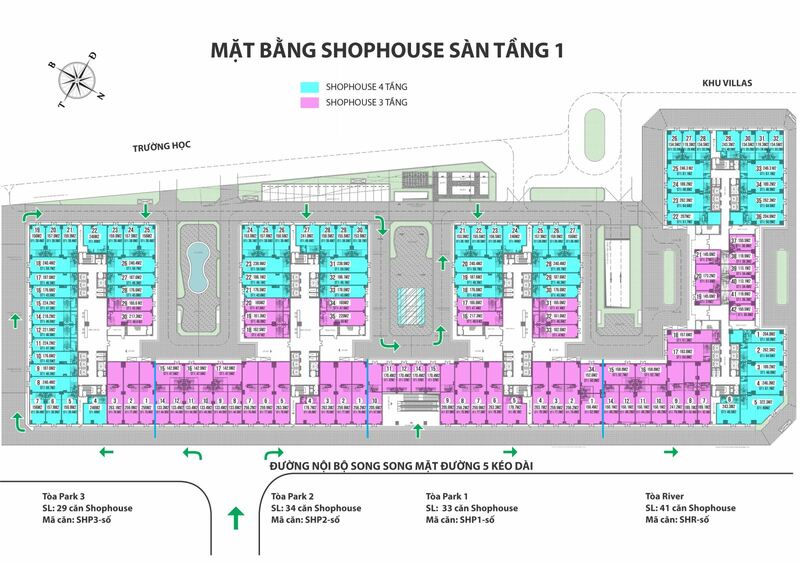 In addition, the project also has a social building, 137 lots of Shop-house and 67 lots of adjacent villas. 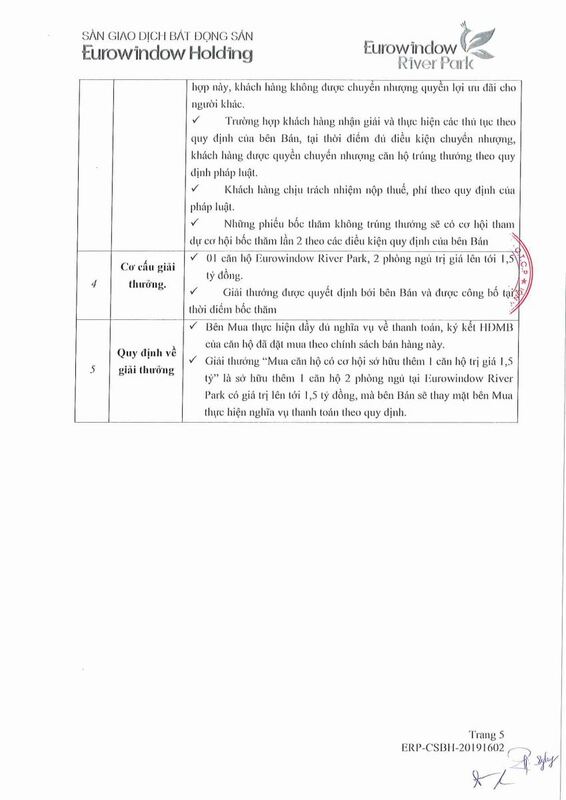 The project was started in 2016 and is expected to be handed over in the first quarter of 2020, according to the actual progress update on December 28, 2018, Zone Rose and Lotus Villa handed over to customers. Park 4 Tower (Social housing) is being cleaned up and redecorated the landscape in preparation for handover to residents (expected January 20, 2018). 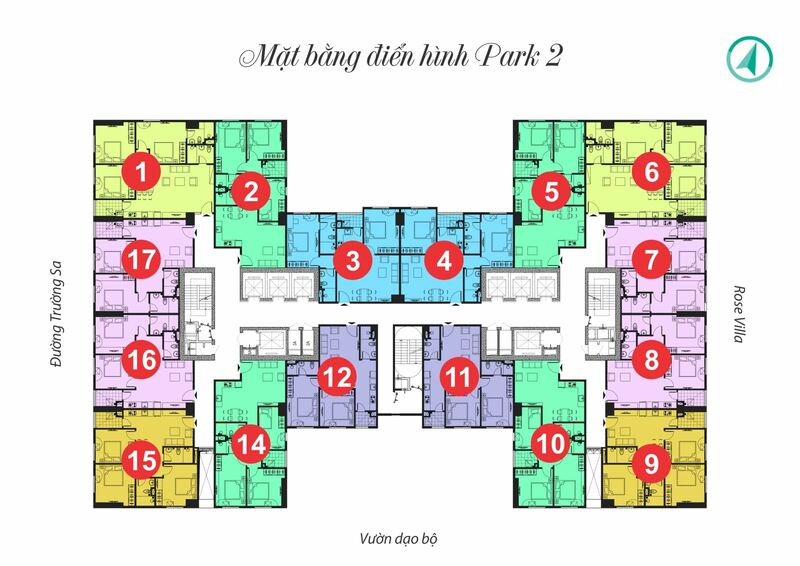 The buildings of Park 1-2-2-3 River are constructed the 7th floor.